Footings distribute loads from the structure to the ground and in most cases are either specified by an engineer or architect. They are regulated, standardized and inspected by local building code officials. They vary dramatically across the country. If you are planning to build in an area that has no restrictions regarding footing size and re-enforcing standards, BuildBlock recommends you seek a local structural engineer to specify your load requirements and footing sizings. 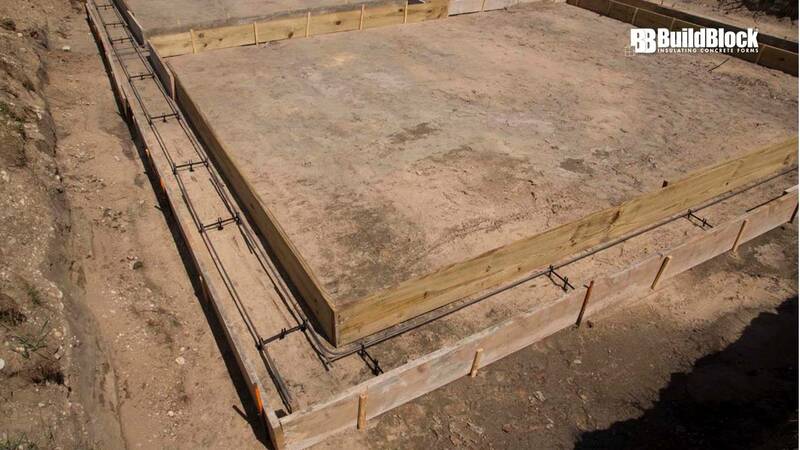 This step will avoid costly structural problems and assure your structure sits on a proper foundation. Keep in mind there are a variety of factors that play into the design of a foundation. Most building professionals seek the services of a structural engineer. BuildBlock highly recommends the consultation of a structural engineer familiar with your region’s soil load bearing capacities for accurate footing designs. Because different engineers recommend various footing thicknesses and widths, we are providing two footing charts for your convenience. 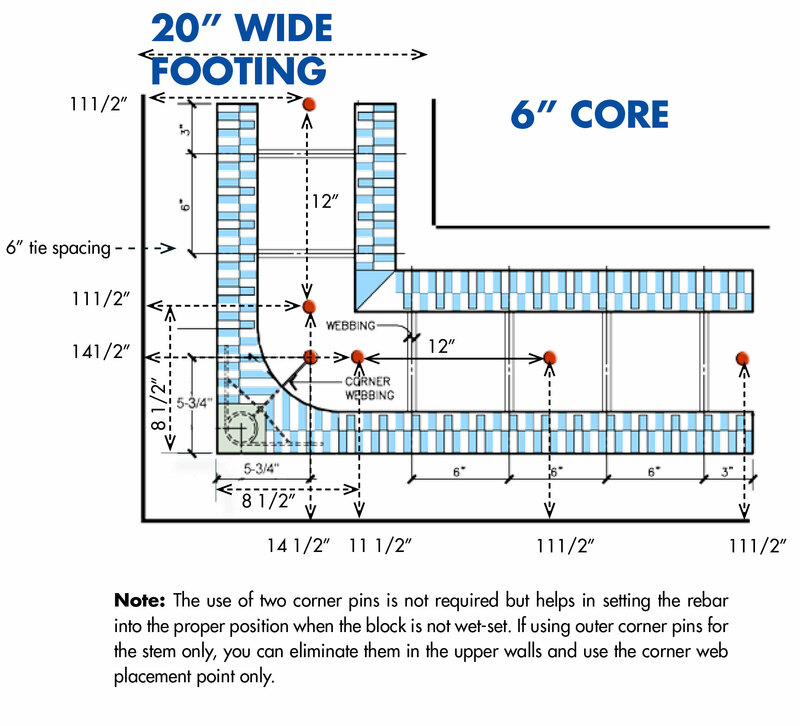 BuildBlock provides the following information about footing sizes. Refer to local codes or site specific engineering for best results. Note: BuildBlock Building Systems assumes no liability for foundation requirements. Every geography has different soil and seismic conditions. These charts are for reference only. This chart assumes 3,000 PSI Concrete. For walls larger than 8-inches and veneer walls, consult your engineer. 1 Minimum footing thickness shall be the greater of one-third of the footing width, 6 inches (152 mm), or 11 inches (279 mm) when a dowel is required in accordance with Section 6.0. 2 Footings shall have a width that allows for a nominal 2-inch (51-mm) projection from either face of the concrete in the wall to the edge of the footing. 3 Table values are based on 32 ft (9.8 m) building width (floor and roof clear span). 4 Basement walls shall not be considered as a story in determining footing widths. 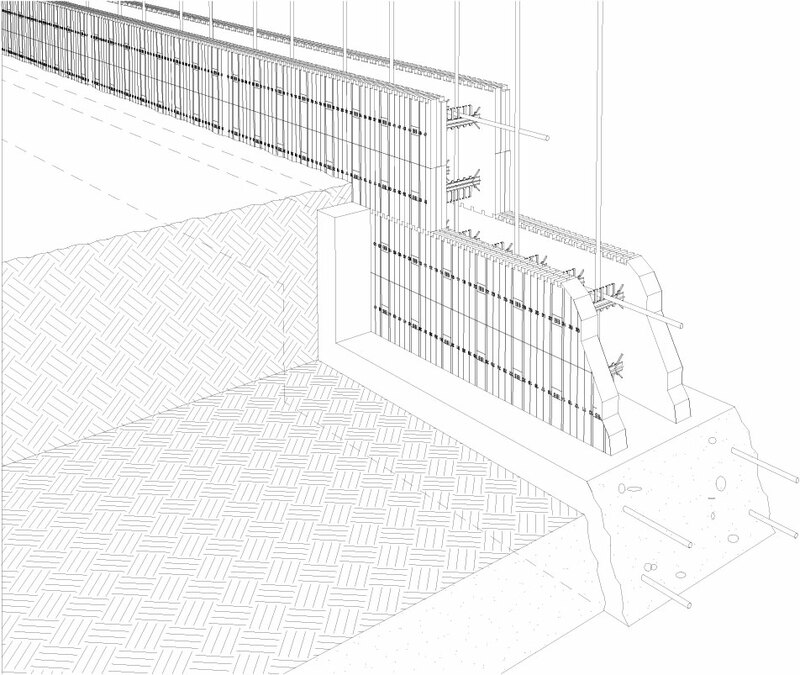 5 Actual thickness is shown for flat walls while nominal thickness is given for waffle- and screen-grid walls. Refer to Section 2.0 for actual waffle- and screen-grid thickness and dimensions. 6 Applicable also for 7.5-inch (191-mm) thick or 9.5-inch (241-mm) thick flat ICF foundation wall supporting 3.5-inch (88.9-mm) thick flat ICF stories. 7 Applicable also for 9.5-inch (241-mm) thick flat ICF foundation wall story supporting 5.5-inch (140-mm) thick flat ICF stories. One of the outstanding features of a BuildBlock form is its completely symmetrical web design. This means two identical half-height forms are produced when the form is cut in half horizontally. This feature is particularly useful for step footings — an elevation change at the footing level. Plan your step footings in increments of one block height (16”) or half-block height (8”). This will ensure an easy transition and that your forms will line up properly. It also eliminates wasted forms. Place concrete in formwork. Care should be taken when consolidating concrete to eliminate voids or honeycombing. Don’t wet your mud too much, it weakens the mix considerably — a bad thing for structural concrete! 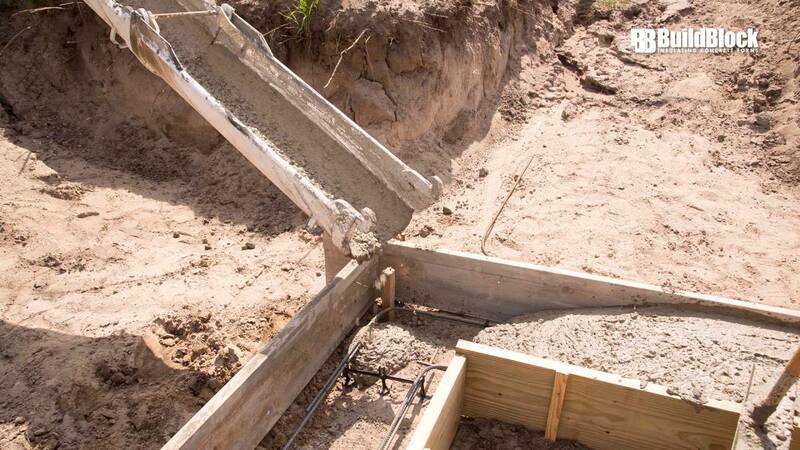 When you pour your footings, use a jitterbug if wet-setting or a screed to level the footing. To set concrete pour height to level install #3 rebar pins every 3 to 4 feet with level to your pour height. Pour and level concrete to these pins. From BuildBlock ICFs's Twitter via Hootsuite Inc.